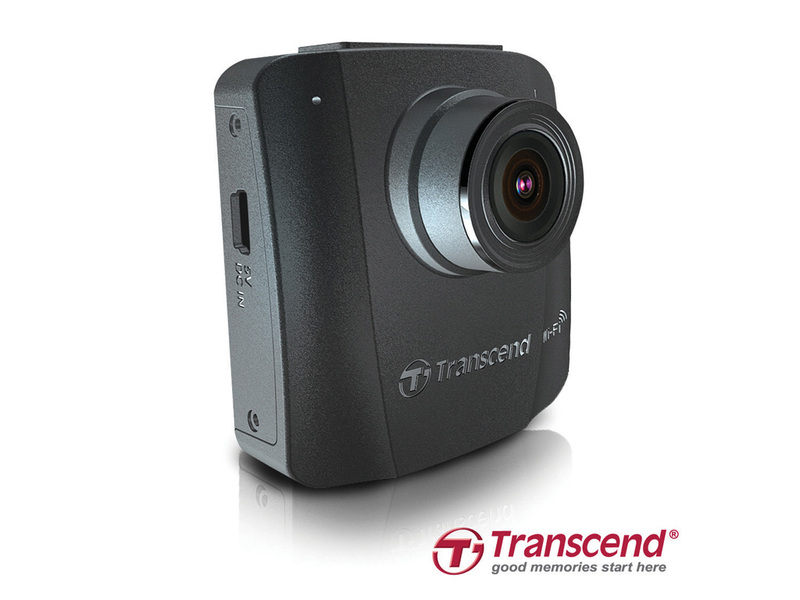 Transcend recently announced the release of its DrivePro 50 Car Video Recorder. Featuring an extremely compact size, a large F/1.8 aperture, Wi-Fi connectivity, a built-in battery, a high-quality Full HD imaging sensor, and a G-sensor emergency recording function, the DrivePro 50 provides its users with ultimate protection on the road. Featuring an extremely compact size, the new DrivePro 50 can be well hidden behind the rearview mirror without blocking the driver’s view. The DrivePro 50 also boasts a large F/1.8 aperture to capture all details of an incident, including license plates, during either daytime or nighttime. The DrivePro 50's camera integrates a wide 130° viewing angle and a Full HD imaging sensor for clear and smooth 1080p (30fps) video recording. In addition, the 6 glass lenses plus 1 infrared filter lens are designed to prevent fogging from heat generated during extended recordings and to ensure the whole trip is recorded in high clarity. Thanks to its built-in Wi-Fi and the free DrivePro New App, the DrivePro 50 can be operated entirely via iOS or Android devices. When connected to the DrivePro 50's dedicated wireless network, users can stream, playback, and download videos, and easily adjust DrivePro 50’s settings directly from their smartphone or tablet. In addition, the exclusive DrivePro Toolbox features a user-friendly interface that can sort video files by file, date, or group, allowing Windows and Mac users to select and play videos recorded on the DrivePro 50 without the need to install separate codecs. The DrivePro 50's built-in G-Sensor instantly triggers the Emergency Recording mode when it detects an impact during recording. Alternatively, users can also activate the emergency recording mode manually by pressing the red emergency button; this is useful when situations occur outside the vehicle and you need to collect evidence in case of a fraudulent claim or lawsuit. Video files recorded in emergency mode are protected from being overwritten. The bundled accessories ensure easy installation and operation. After the DrivePro 50 is mounted on the windshield and connected to the lighter socket, further driver involvement is not required. When the vehicle's engine is turned on, video files are automatically recorded to the included Transcend High Endurance 16GB microSDHC MLC memory card that offers consistent durability and endurance. Moreover, with Loop Recording enabled, the oldest video files in the memory card will be overwritten by new files when memory card capacity is full; eliminating the need to purchase additional storage. Transcend's DrivePro 50 is backed by Transcend's Two-year Limited Warranty.